Whether you are looking for sandy beaches, walking trails or 5 star holiday hotels in Turkey, the country is a great destination for British tourists with or without a family. 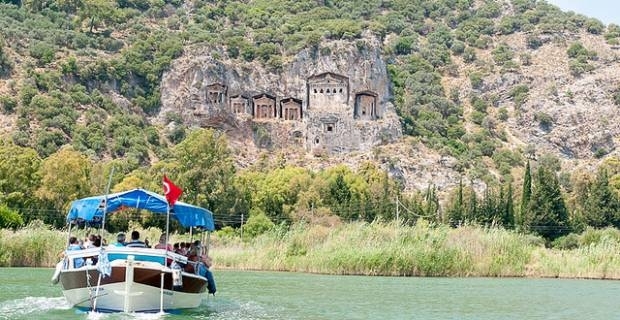 There is so much history to explore and so much natural beauty to enjoy that no matter how you choose to see Turkey, you won't be disappointed. Turkey is split into seven distinct regions and each has its own climate. The hottest areas can be found on the coast. There you can expect 13 to 14 hours of sunlight a day and temperatures of between 30 – 34 degrees centigrade during the summer months. The coastal resorts at the Marmara, Aegean and Mediterranean seas are amongst the best for beach holidays. Cirali beach in southern Turkey would make an idyllic beach break for two. This unspoilt beach on the Mediterranean Sea has protected status, so tourists will see Turkey’s natural beauty unobstructed by modern developments. Staying in a wooden chalet on or near the beach would make for a relaxing break. If relaxing on a beach doesn’t appeal, why not try a walking holiday in Cappadocia? This extraordinary landscape in Central Anatolia contains some of the most picturesque views to be found in Turkey, so why not see it in a hot air balloon? From above the dramatic gorge and unusual rock formations can be seen and photographed clearly. When you return to the ground, why not walk along the floor of the gorge towards the city of Kaymakli or the cave town of Goreme? This is another destination that would be ideal for a walking holiday. This 170km walking route in the Sanliurfa region follows the path set out by the prophet Abraham. It takes in prehistoric sites like Gobeklitepe and Sogmatar, as well as the medieval trading post, Sanliurfa. Holidaymakers walking this trail can experience a medieval castle, incredible mosques and ancient roadside inns. Istanbul is the ideal location for tourists looking for a city break. It’s spread over seven hills and is divided into two by the Bosporus River. This transcontinental city spans both Europe and Asia, as one side is in each continent, so it offers a unique experience. There are plenty of 5 star holiday hotels in Turkey's largest city and lots to do and see. During the day, the city’s rich history can be explored and at night, there are bars, restaurants and nightclubs to enjoy. No matter what type of holiday you choose, the weather can be against you and stop your plans, so to get a 5 star holiday experience in Turkey make sure you book for the summer season. Turkey’s summer season is six month long. It runs from May to October. No matter which part of Turkey you choose to visit, the busiest times are during the school summer break, so bear that in mind when booking.